These days has come to our attention thanks to the travel magazine article traveller.es of the existence of a calendar of the most original, it is an almanac that illustrates a route through the bars of Seville, among which is included the stop at “El Rinconcillo” and for this great occurrence interview the creator of the idea and illustrator Miguel Ferrera. 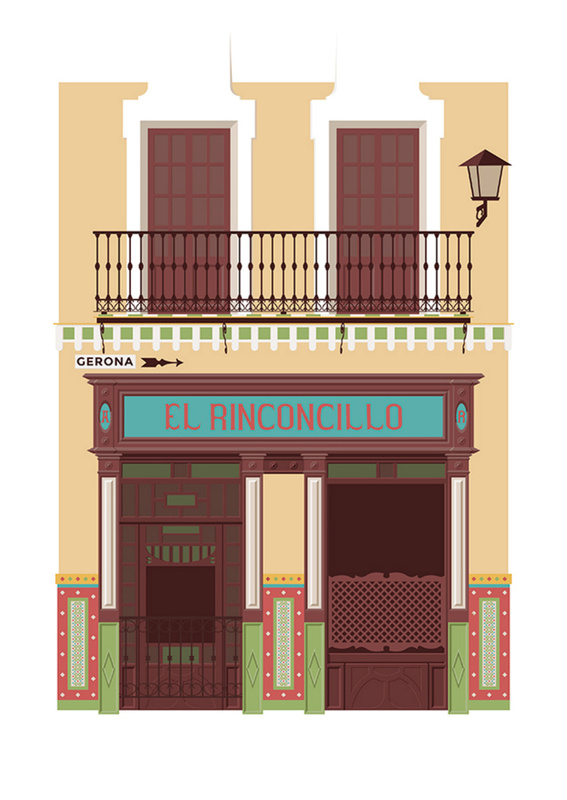 In the interview the artist explains that the idea arises from the hours we live and the memories we forged in the most daily taverns of Seville, as well as the secrets and secrets they hide. Among all the illustrations, he dedicates one of the oldest ones in Seville, our “Rinconcillo”, of which he points out that “Maybe Velázquez or Murillo drank some wine in this tavern. And surely Bécquer, Cernuda or Machado took them too, both there and in many of the others, which are nineteenth-century. ” It also highlights some of our classic dishes such as Serrano ham, cod or our croquettes, but without a doubt your favorite is the spinach with chickpea. As the interview is influenced, many of our memories are created in bars with friends, between laughter and jokes and have wanted to honor them in an excellent calendar that will give way to other new moments that we will live in these taverns full of goblins and warmth of their crowd and of course, among them one of those with more tradition, “El Rinconcillo”.